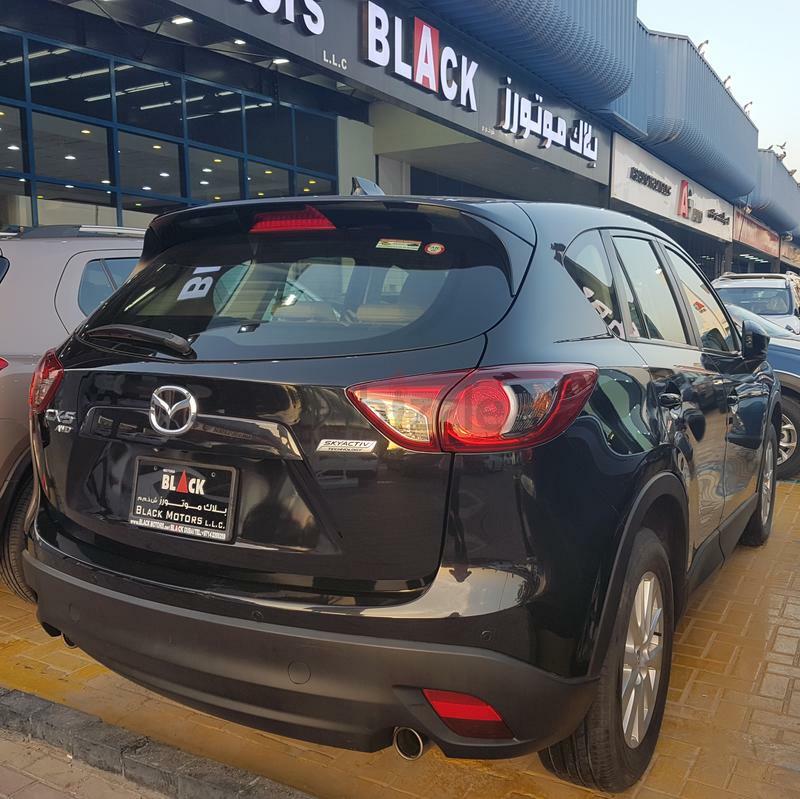 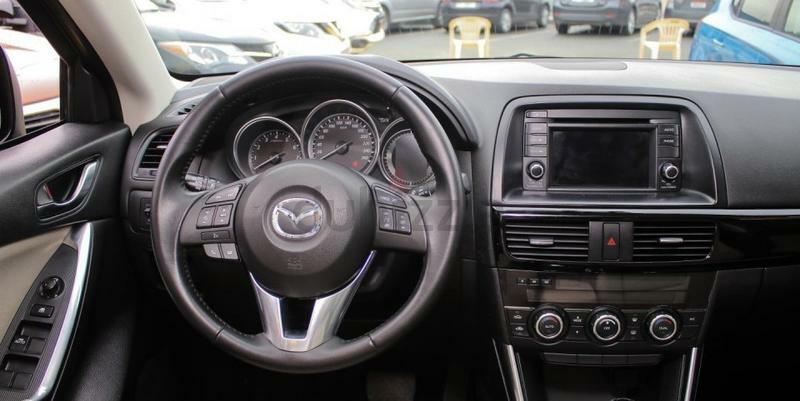 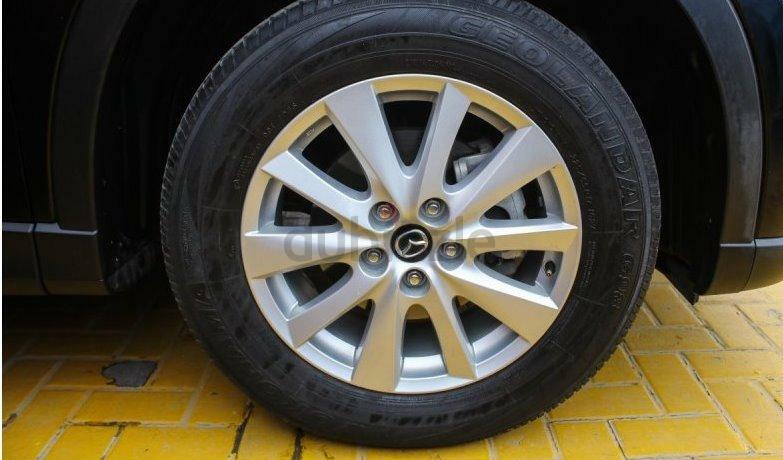 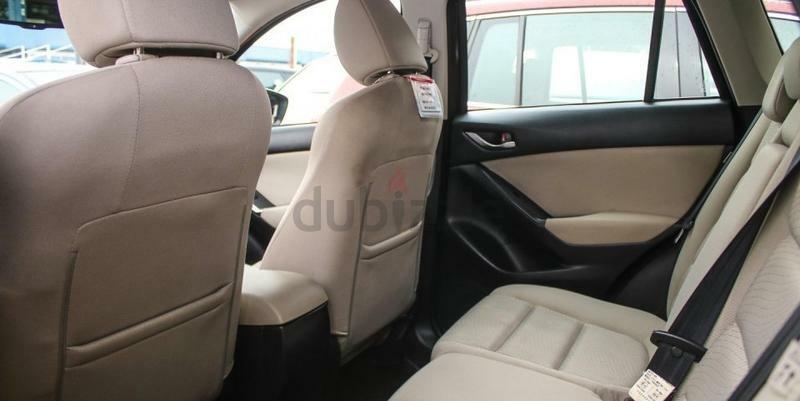 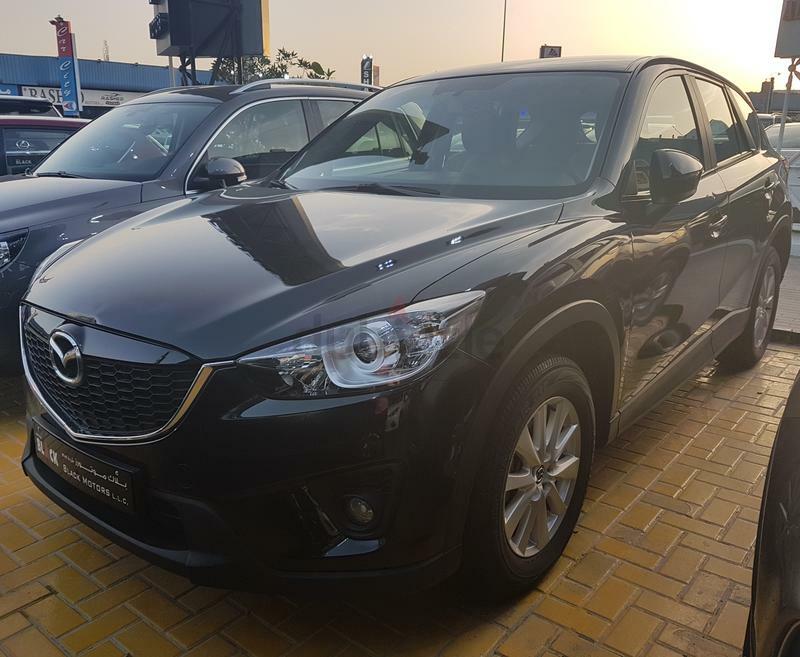 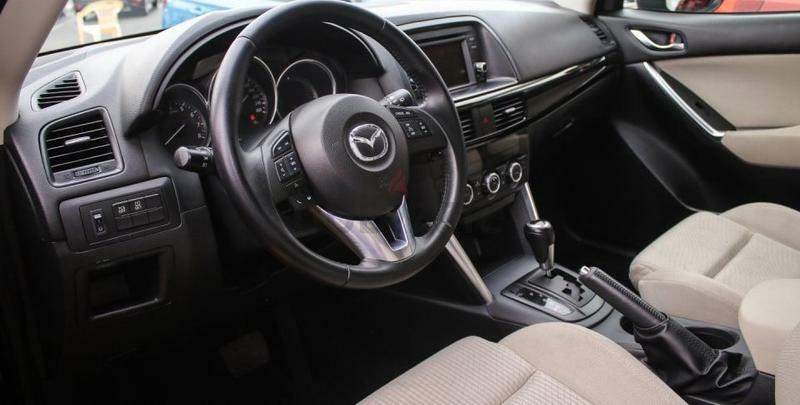 Pre-owned Mazda CX-5 for sale in Dubai. 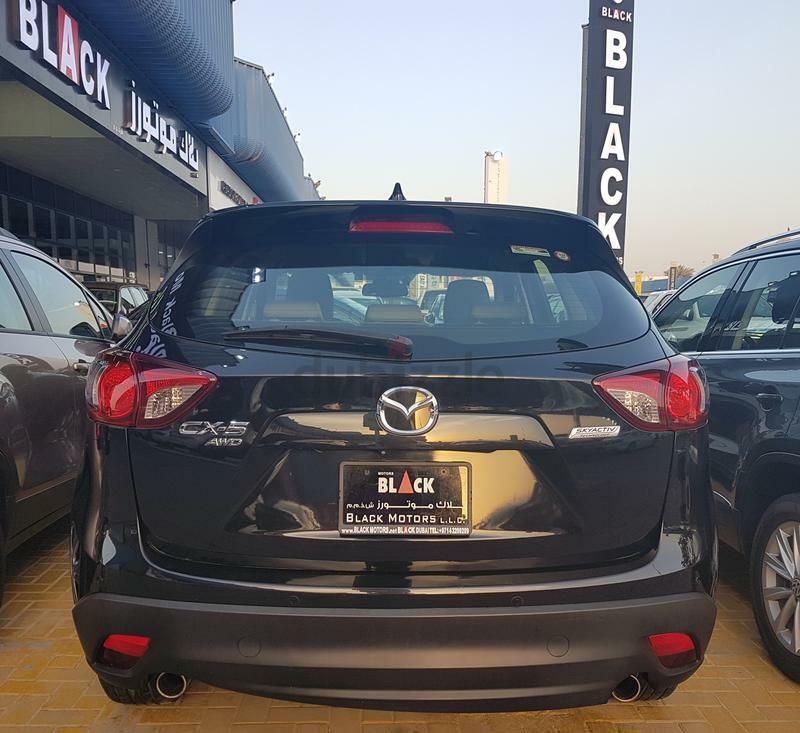 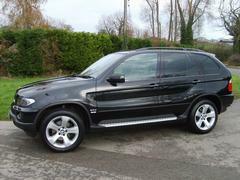 Black 2013 model, available at BLACK MOTORS LLC Car Showroom. 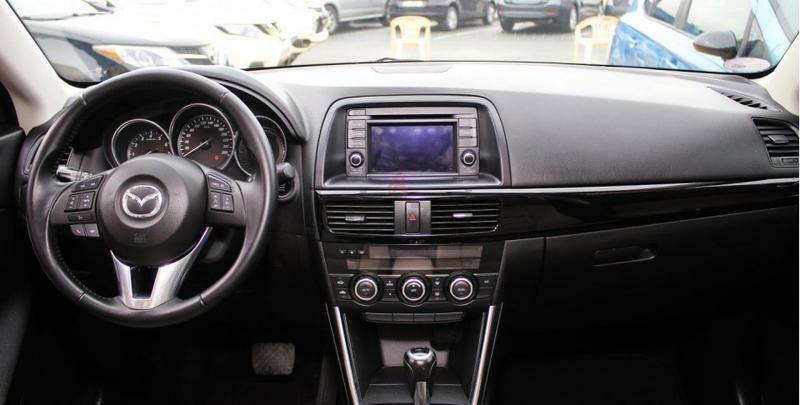 This car has automatic transmission, 4 cylinders, 18″ wheels and gray interior. 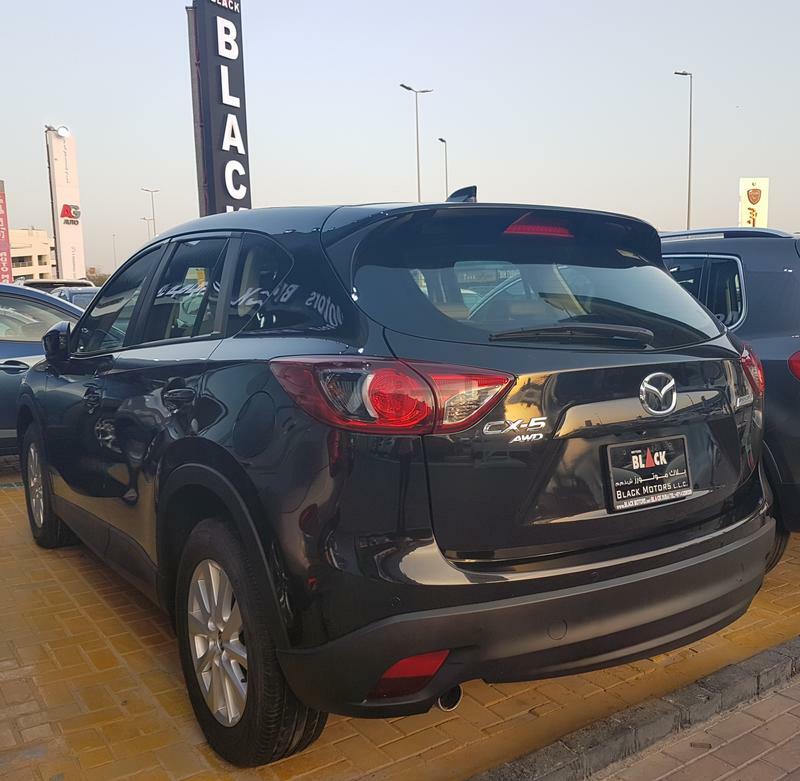 123,000 kms., GCC specs.